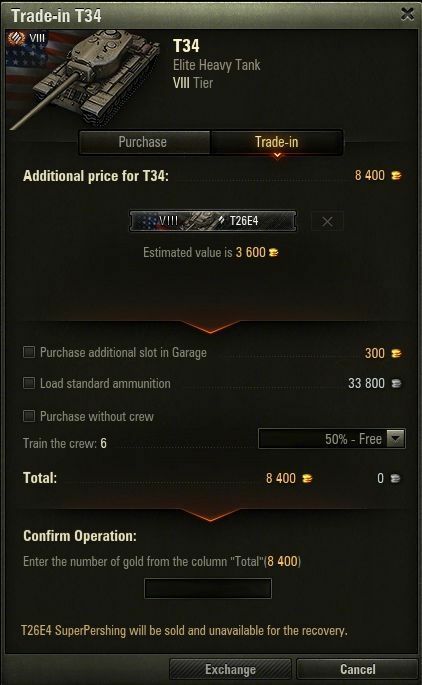 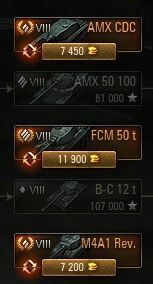 You can trade in a Tier VI-VIII Premium tank when you buy a new Premium vehicle from the Tech. 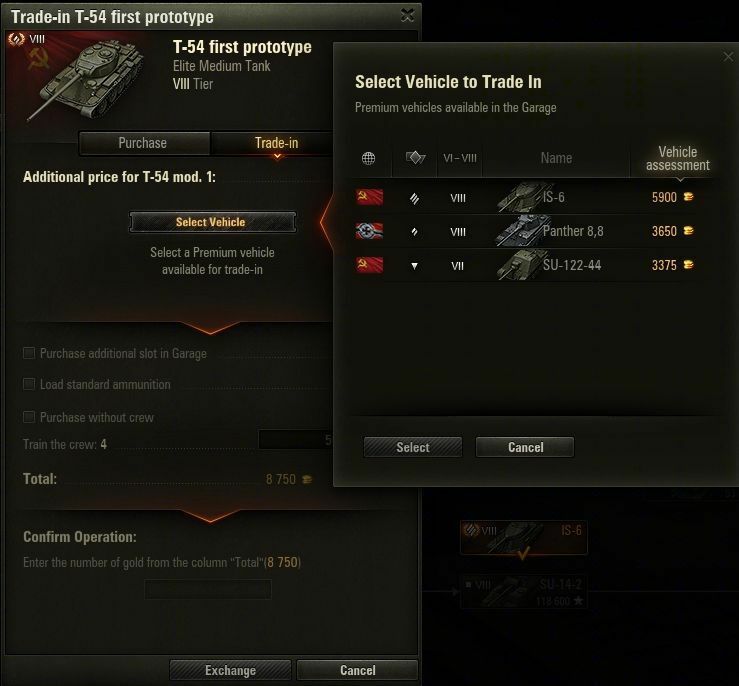 Tree of the same or higher Tier. 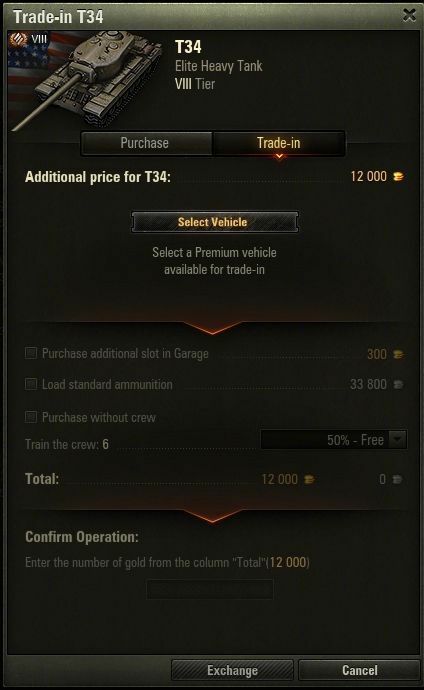 When trading in, half of the old vehicle’s value in Gold will be deducted from the price of the new one. 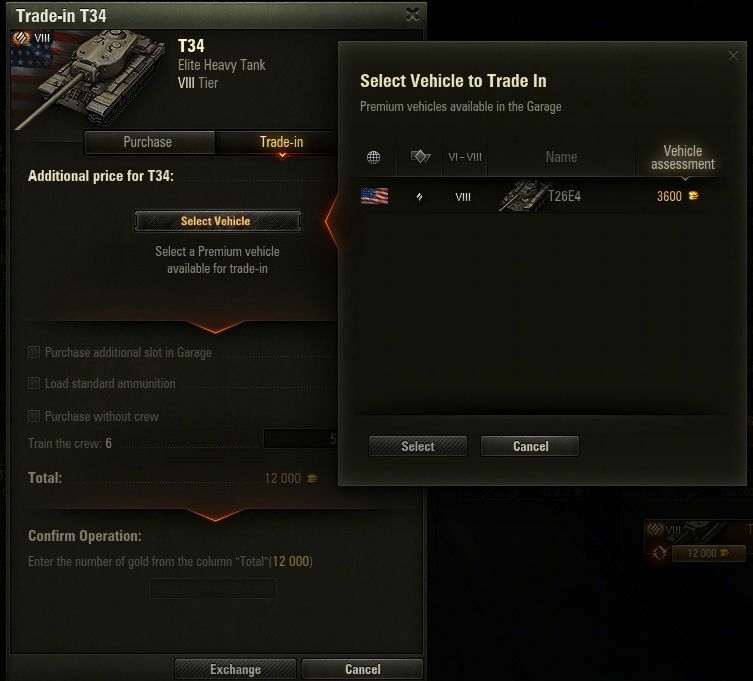 Only one vehicle can be traded in at a time.